Microsoft need to worry as Lenovo is partnered with Pokki, in order to change the layout of Windows 8, which is latest version of Microsoft OS launched for Ultrabooks for giving touch screen experience to user. Think it as Sense UI in HTC smartphones on the top of android and TouchWiz by Samsung. The UI (User Interface) of Windows 8 does not liked by most people of the world. Company gave feature of Microsoft Store that is not also impressed by them. Lenovo is starting to solve the problem of UI, they partnership with Pokki. Lets see what Pokki say about it. “We’re excited to announce that that #1 PC maker in the world, Lenovo will be shipping Pokki on new Windows 8 devices worldwide! 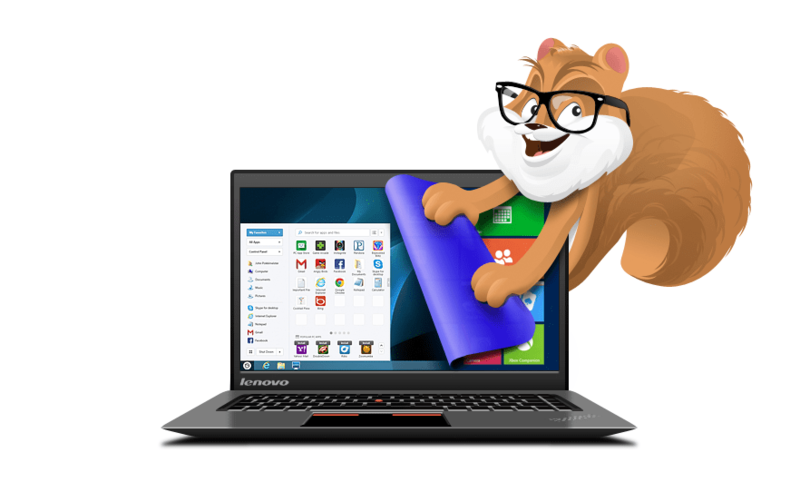 In other words, you’ll soon be able to buy brand new Lenovo laptop or desktop with our full Pokki software suite integrated and ready to use of-of-the-box, says Pokki. Pokki is free application framework by California based SweetLabs Inc. Pokki made an apps for Windows 8 to change the interface of start menu. Pokki is not replacing only start menu but also changing all the framework of windows 8. Angry Birds, Pinterest, Words With Friends and many more apps will be more familiar for users. Pokki is gonna be miracle as it is changing interface as well as apps interface of Windows 8. Peoples are really not liking the interface of Windows. We asked to many people about their experience with windows 8, 7 out of 10 people do not like the Windows 8 interface but other 3 people liked it because of it has good platform for touch screen. Microsoft released Windows 8.1 having no changes in interface as people needed. We wish, Microsoft should be take care of interface in next version of Windows 8 but now Pokki is winning the market as interface.